In mathematics, operator theory is the study of linear operators on function spaces, beginning with differential operators and integral operators. The operators may be presented abstractly by their characteristics, such as bounded linear operators or closed operators, and consideration may be given to nonlinear operators. The study, which depends heavily on the topology of function spaces, is a branch of functional analysis. In mathematics, transform theory is the study of transforms. The essence of transform theory is that by a suitable choice of basis for a vector space a problem may be simplified—or diagonalized as in spectral theory. 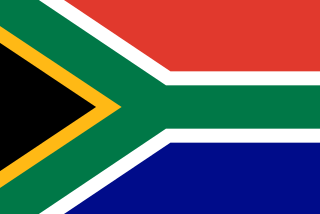 The South African College Schools is a primary and secondary education institution in Newlands, Cape Town, South Africa. Founded in 1829, it is the oldest school in South Africa. SACS is one of four schools expressly named by Cecil John Rhodes to offer an annual Rhodes Scholarship to one of its graduating students. The schools are a combination of the South African College Junior School and the South African College High School. He won a Rhodes Scholarship to Oxford and started to study at Queen's College in 1935,  obtaining his D.Phil. in 1940 under the supervision of Edward Charles Titchmarsh. His work made an immediate impact and as early as January 1939 he was invited to speak at Hadamard’s seminar in the Collège de France. 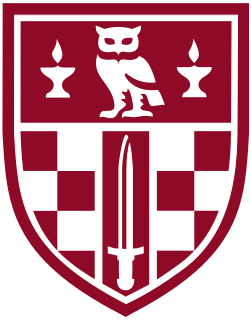 The Rhodes Scholarship is an international postgraduate award for students to study at the University of Oxford. It was established in 1902, making it the first large-scale programme of international scholarship. 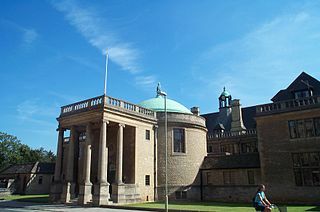 The Rhodes Scholarship was founded by English businessman and politician Cecil John Rhodes, to promote unity between English speaking nations and instill a sense of civic-minded leadership and moral fortitude in future leaders irrespective of their chosen career paths. Although initially restricted to male applicants from countries which are today within the Commonwealth, as well as Germany and the United States, today the Scholarship is open to applicants from all backgrounds and from across the globe. Since its creation, controversy has surrounded both its former exclusion of women, and Rhodes' Anglo-supremacist beliefs and legacy of colonialism. Edward Charles "Ted" Titchmarsh was a leading English mathematician. Birkbeck, University of London, is a public research university located in Bloomsbury London, England, and a constituent college of the federal University of London. Established in 1823 as the London Mechanics' Institute by its founder, Sir George Birkbeck, and its supporters, Jeremy Bentham, J. C. Hobhouse and Henry Brougham, Birkbeck has been one of the few institutions to specialise in evening higher education. In 1951 he was appointed professor at the Cardiff University  where he stayed until 1963 apart from a break in 1954 when he spent some time in the University of Witwatersrand. From 1952 to 1959 he edited the proceedings of the London Mathematical Society. After leaving Cardiff he spent three years in North America, as visiting professor at Caltech during 1964, followed by a two-year stay at the University of Toronto. While in Toronto he edited the Canadian Journal of Mathematics. Cardiff University is a public research university in Cardiff, Wales. Founded in 1883 as the University College of South Wales and Monmouthshire, it became one of the founding colleges of the University of Wales in 1893, and in 1997 received its own degree-awarding powers. It merged with the University of Wales Institute of Science and Technology (UWIST) in 1988. 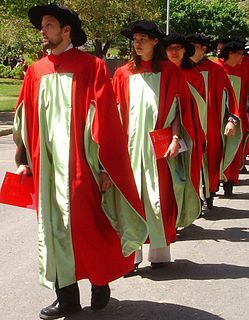 The college adopted the public name of Cardiff University in 1999, and in 2005 this became its legal name, when it became an independent university awarding its own degrees. The third oldest university institution in Wales, it is composed of three colleges: Arts, Humanities and Social Sciences; Biomedical and Life Sciences; and Physical Sciences and Engineering. The London Mathematical Society (LMS) is one of the United Kingdom's learned societies for mathematics. Within operator theory, Cooper worked in the area of linear operators on real or complex Hilbert spaces. He studied the unbounded operators that arose from quantum theory,  extending basic work of Frigyes Riesz and John von Neumann. Within transform theory, he worked on the representation and uniqueness of integral transforms, on approximation, and on linear transformations that satisfy functional relations arising from representations of linear groups. In this he collaborated closely with P.L. Butzer of RWTH Aachen. Alain Connes is a French mathematician, currently Professor at the Collège de France, IHÉS, Ohio State University and Vanderbilt University. He was an Invited Professor at the Conservatoire national des arts et métiers (2000). Functional analysis is a branch of mathematical analysis, the core of which is formed by the study of vector spaces endowed with some kind of limit-related structure and the linear functions defined on these spaces and respecting these structures in a suitable sense. The historical roots of functional analysis lie in the study of spaces of functions and the formulation of properties of transformations of functions such as the Fourier transform as transformations defining continuous, unitary etc. operators between function spaces. This point of view turned out to be particularly useful for the study of differential and integral equations. The mathematical formulations of quantum mechanics are those mathematical formalisms that permit a rigorous description of quantum mechanics. Such are distinguished from mathematical formalisms for theories developed prior to the early 1900s by the use of abstract mathematical structures, such as infinite-dimensional Hilbert spaces and operators on these spaces. Many of these structures are drawn from functional analysis, a research area within pure mathematics that was influenced in part by the needs of quantum mechanics. In brief, values of physical observables such as energy and momentum were no longer considered as values of functions on phase space, but as eigenvalues; more precisely as spectral values of linear operators in Hilbert space. Marshall Harvey Stone was an American mathematician who contributed to real analysis, functional analysis, topology and the study of Boolean algebras. Mark Aronovich Naimark was a Soviet mathematician who made important contributions to functional analysis and mathematical physics. In mathematics, generalized functions, or distributions, are objects extending the notion of functions. There is more than one recognized theory. 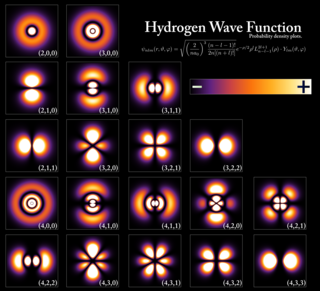 Generalized functions are especially useful in making discontinuous functions more like smooth functions, and describing discrete physical phenomena such as point charges. They are applied extensively, especially in physics and engineering. 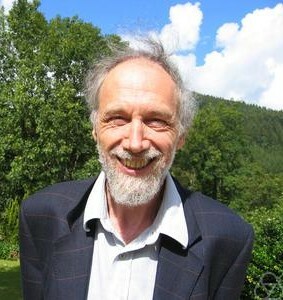 Jacob Theodore "Jack" Schwartz was an American mathematician, computer scientist, and professor of computer science at the New York University Courant Institute of Mathematical Sciences. He was the designer of the SETL programming language and started the NYU Ultracomputer project. He founded the New York University Department of Computer Science, chairing it from 1964 to 1980. Irving Ezra Segal was an American mathematician known for work on theoretical quantum mechanics. He shares credit for what is often referred to as the Segal–Shale–Weil representation. Franz Rellich was an Austrian-German mathematician. 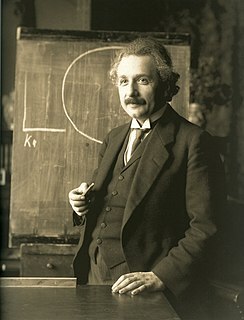 He made important contributions in mathematical physics, in particular for the foundations of quantum mechanics and for the theory of partial differential equations. The Rellich–Kondrachov theorem is named after him. Jonathan R. Partington is an English mathematician who is Professor of Pure Mathematics at the University of Leeds. Gerard J. Murphy MRIA was a prolific Irish mathematician. His textbooks are internationally acclaimed, and translated into different languages. He died from cancer in October 2006, at the age of 57. Daoxing Xia is a Chinese American mathematician. He is currently a professor at the Department of Mathematics, Vanderbilt University in the United States. He was elected an academician of the Chinese Academy of Science in 1980. Israel Gohberg was a Bessarabian-born Soviet and Israeli mathematician, most known for his work in operator theory and functional analysis, in particular linear operators and integral equations. Nelson James Dunford was an American mathematician, known for his work in functional analysis, namely integration of vector valued functions, ergodic theory, and linear operators. The Dunford decomposition, Dunford–Pettis property, and Dunford-Schwartz theorem bear his name. Walter Warwick Sawyer (1911–2008) was a mathematician, mathematics educator and author, who taught on several continents. John P. Perdew is a theoretical condensed matter physicist known for his contributions to the fields of solid-state physics and quantum chemistry. His work on density functional theory has led to him being one of the world's most cited physicists. Perdew currently teaches and conducts research at Temple University. Tosio Kato was a Japanese mathematician who worked with partial differential equations, mathematical physics and functional analysis. 1 2 3 4 O'Connor, J. J.; Robertson, E. F. (December 1996). "Jacob Lionel Bakst Cooper". MacTutor. Retrieved 2008-10-15. ↑ "Jacob Lionel Bakst Cooper". Mathematics Genealogy Project. Retrieved 2008-10-15.